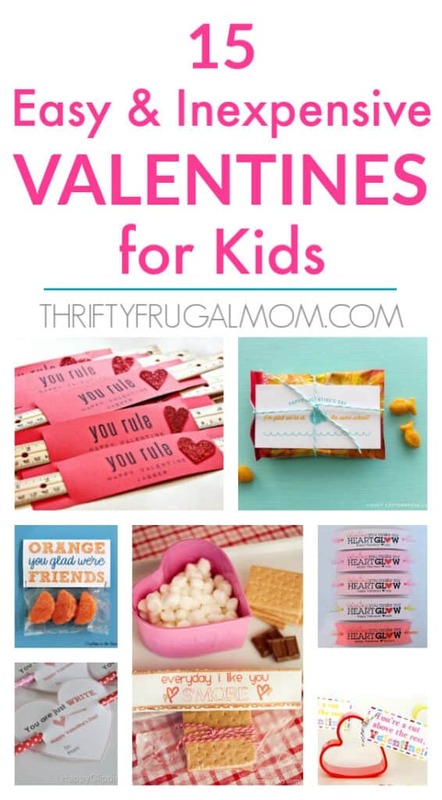 A super fun collection of easy and cheap Valentines for kids- includes both food and non-food ideas! If you are like me, you simply don’t have time to do complicated Valentine’s gifts for your kids to give to their friends and classmates. 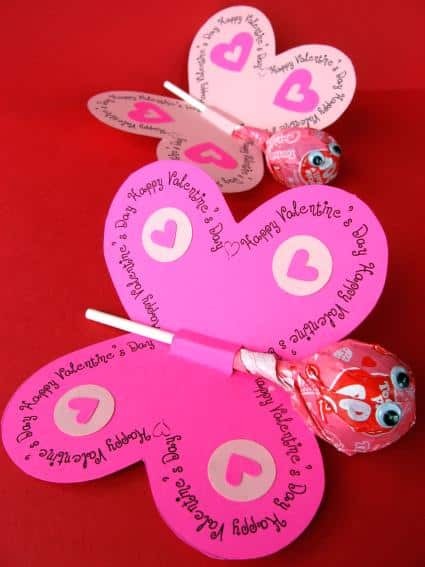 Here’s a collection of 15 creative and adorable DIY kid’s Valentine ideas that are also all easy and inexpensive too! 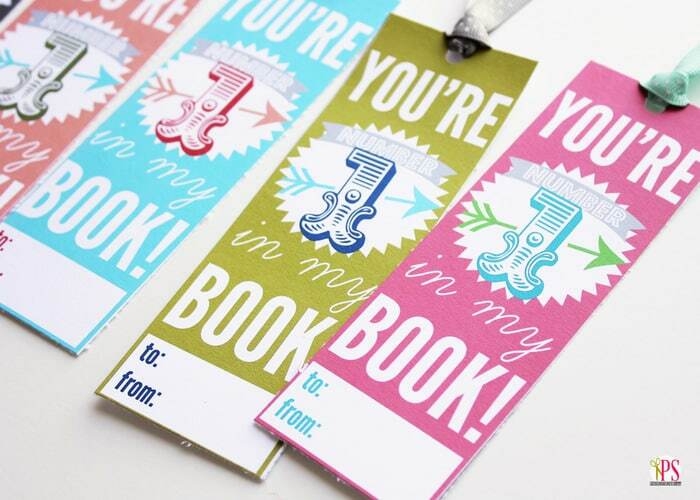 These colorful bookmarks are easy to print out and assemble in minutes. Plus, hopefully they’ll inspire the recipient to dive into reading too! Orange these just cute? Use orange slice gummy candies or as a healthier alternative, you could put a mandarin orange or regular orange in a bigger bag and use the same label. What child doesn’t like glow sticks? 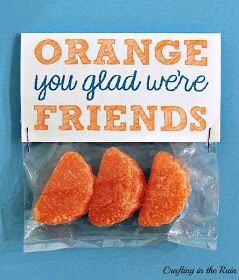 These creative non-food valentines are sure to be a hit! And here’s a 100 ct. pack of glow sticks for a good price. 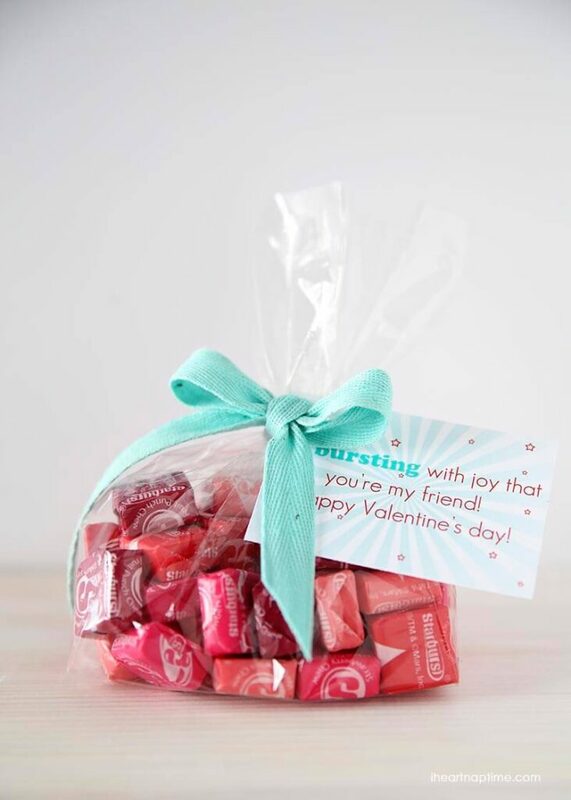 A simple but fun valentine! Another fun non-food idea! If you want, you could make some homemade play-dough, put a small ball of it in a sealed plastic bag and add it to the cookie cutter. 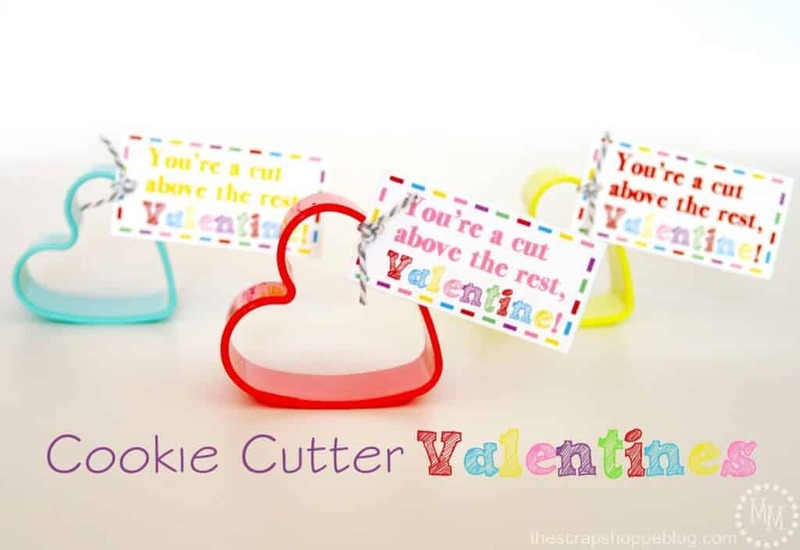 These cute heart shaped cookie cutters would work great! 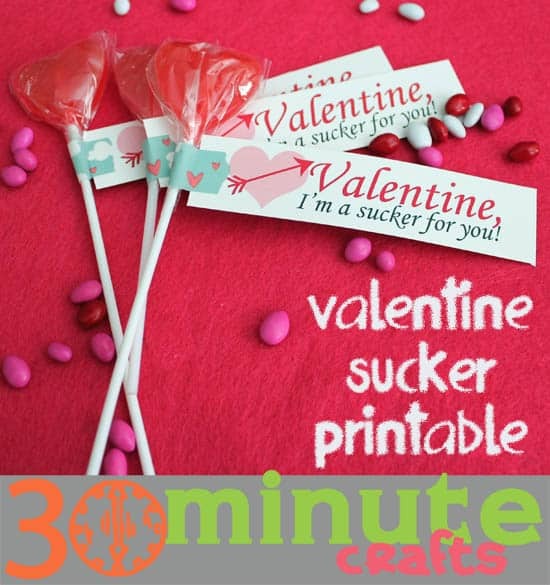 I love this idea of using printable coloring pages as part of your valentine. It really doesn’t get much more simple, inexpensive and yet fun than that! An adorable twist on an American classic! Yum! 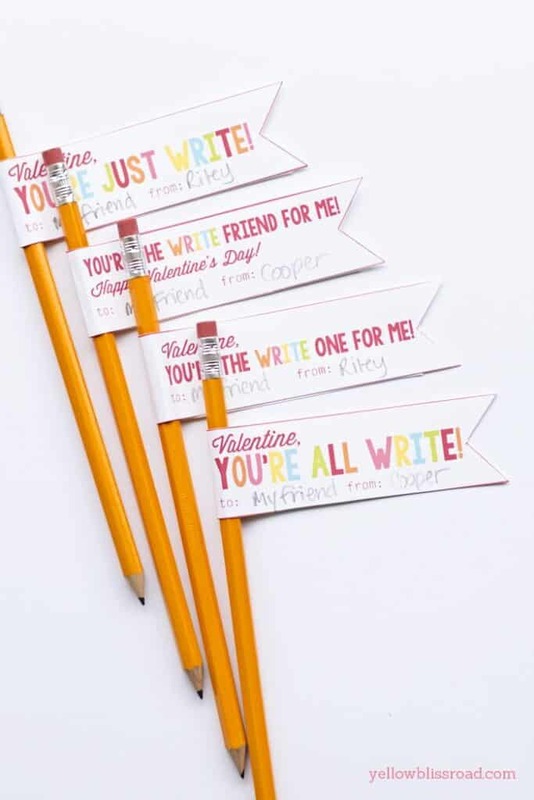 Four cute valentine ideas and all for things kids love! Not sure where to get the supplies inexpensively? Amazon to the rescue! They have cellophane bags (depending on what items you use, you may need a bigger size! 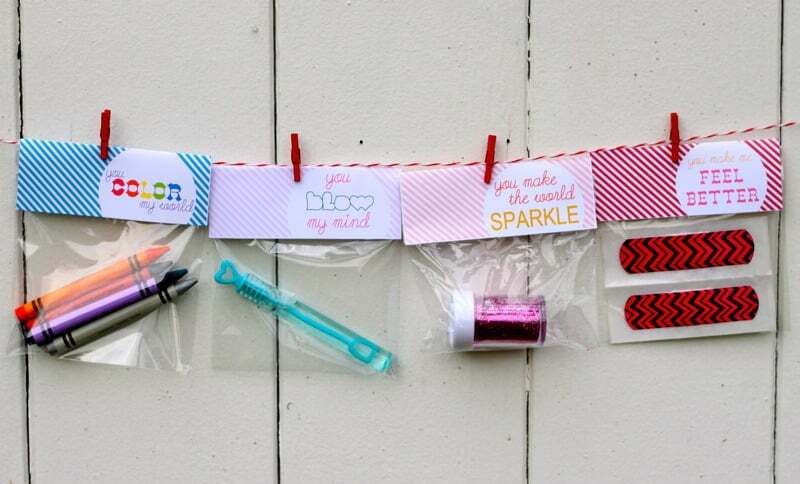 ), Crayola crayons, bubbles, glitter (if you use bigger bags, these glitter pens would be fun too!) 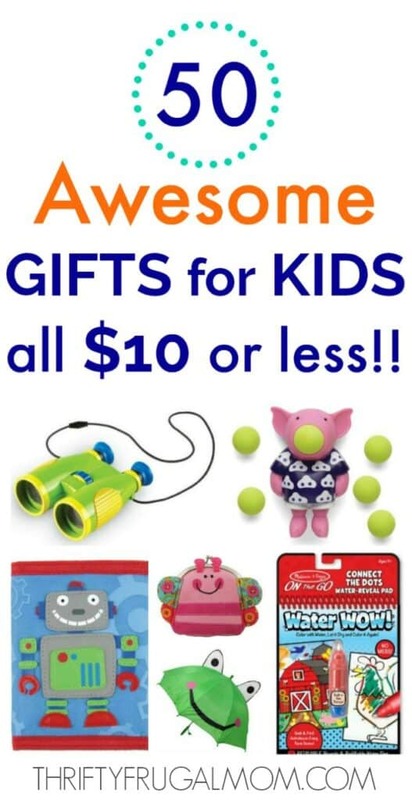 and fun colored Band-aids all at great prices. Another really easy to assemble valentine. This 36 ct. pack of wooden rulers is less than $20, making these very inexpensive to make. These are just plain cute and fun! 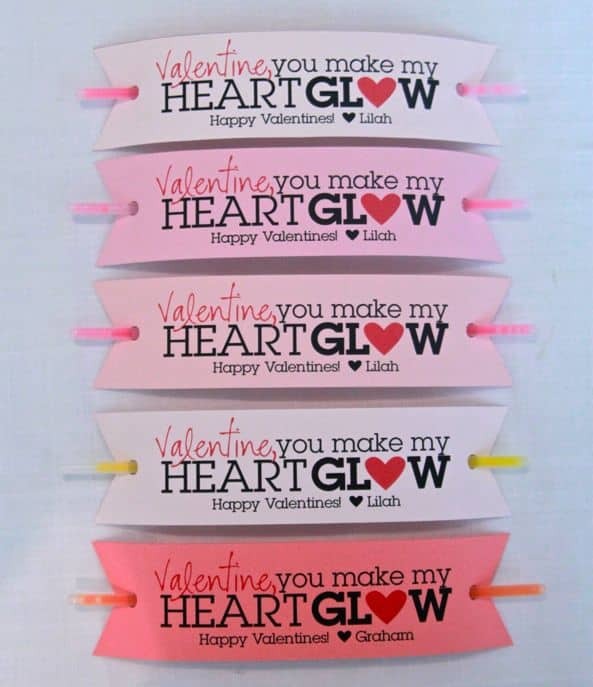 And you can get a 36 ct. pack of Valentine pencils from Amazon for less than $10.00, making it a very inexpensive Valentine! 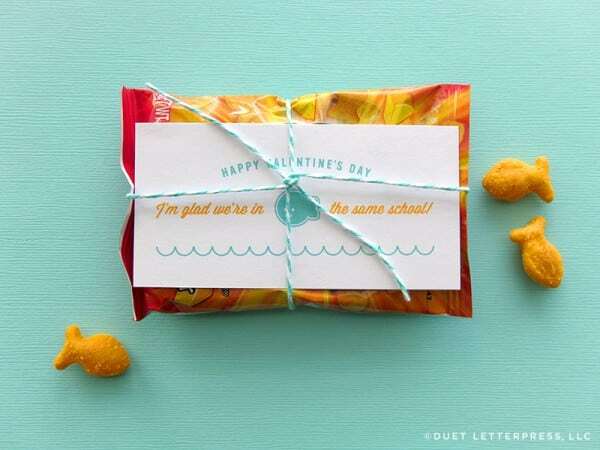 Such a fun Valentine idea for classmates using individual bags of Goldfish crackers. If you want to make this even more cost effective, buy the goldfish in bigger packages, divide them into smaller bags and then attach the label to that. I know these would be popular at our house as my children think they can never have too many of these little rubber balls. You can get a 25 ct. pack of the balls inexpensively here. Aren’t lollipops always a hit with children? 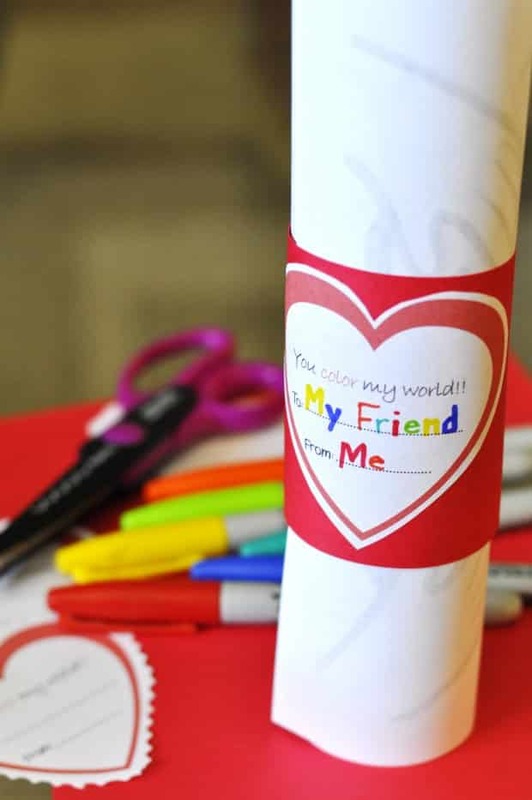 This valentine shouldn’t take long to assemble and is sure to be well received! These heart shaped lollipops would be fun. Or for a healthier option, try these organic vitamin C ones! Want a bit of a healthier valentine? Make this one using little boxes of raisins. So darling! Another lolly-pop valentine- didn’t I say that they’re popular with children? If you don’t want to mess with the little wiggly eyes, you could also just use a Sharpie and draw a face on the lolly-pop. These are awesome ideas and the website is great. You have a great way of communicating a modern need with modern families. Congratulations on the website. I've signed up for everything and am receiving emails already. So excited for your success! Thank you for sharing. Glad to have you here, Kathryn! And thank you for your kind words. I love blogging, but comments like yours are what put the wind in my sails and keep me motivated. :) Blessings! 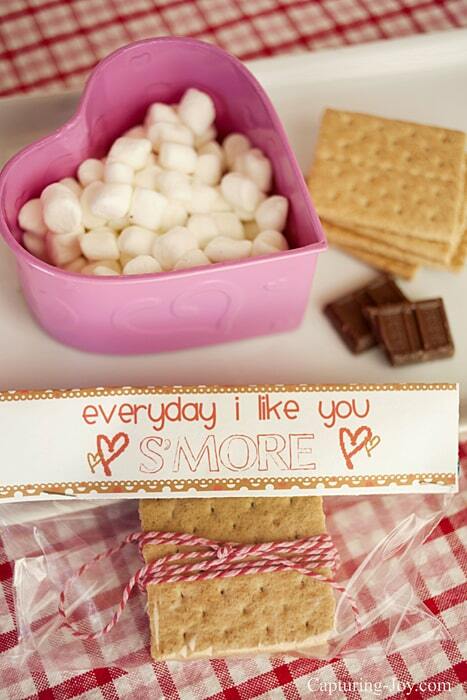 Aww these are some really cute ideas! 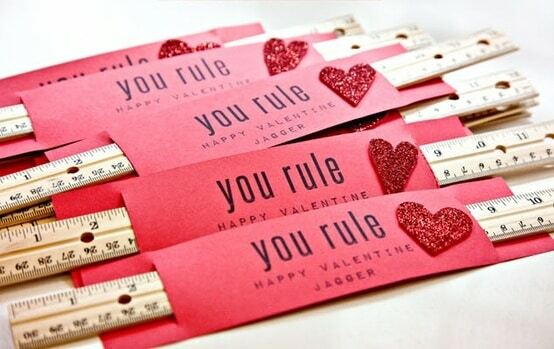 I would have loved to get these for valentines day.